These are the fashion trends for Men‘s! We often assess and condemn people on the basis of their appearance! – Or not? But “Inner values count!” it is said again and again, how much do we stick to it? In a survey of the statistics portal the question “Do you judge the people also according to their appearance? was accomplished. Half of the respondents 53.6 percent agreed that they should condemn people according to their appearance. From this one comes to the decision that one should pay attention to the exterior appearance. Especially the men should pay attention to it, because according to Anke Willberg of the agency for contemporary manners, women do not only pay attention to the inner values, as much as they like to say, they attach much importance to clothes. Accordingly, a survey was conducted by the Outfittery Magazine(style consulting for men). 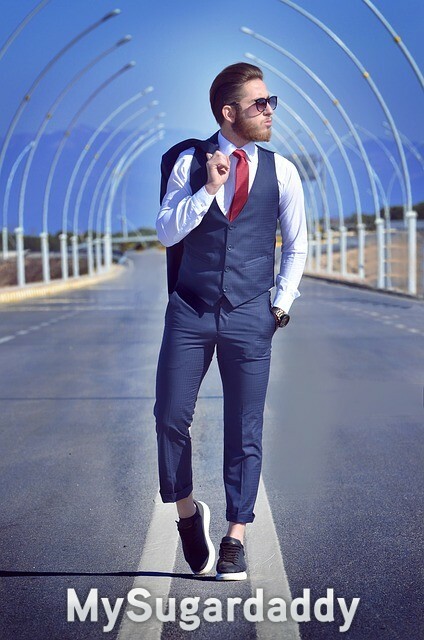 There, 52 percent of 500 women stated that they think that men are not well dressed. They wish they wore more shirts, jackets and suits. Men who want to please women should therefore pay special attention to it, because as you can see in the studies, women attach great importance to clothing. Do you always want to be up-to-date in fashion? Then you are at right place! We know that not all men have a flair for fashion. That’s why we have summarized the 5 strongest fashion trends for you to fascinate your Sugar babe! The colour orange plays a key role this year for men’s fashion. This colour is associated with the sunset over the sea, light and warmth. It’s no wonder that many fashion brands are currently using the colour orange. With this colour you can show your warmth and cordiality to your partner. However, you should make sure that too much orange is a thorn in the eye and has a deterrent effect. Our tip: Orange is a bright and eye-catching colour. Therefore you should combine it with subtle colours like grey and dark blue. This makes the garment an absolute eye-catcher. Polo shirts are experiencing their comeback this year. They were for many years considered stuffy and out. It is worn as in the 50s. All knobs are closed and the collar stays down, so the shirt looks elegant and fashionable. You can wear the polo shirt in everyday life as well as in the office. Our tip: For a casual look you can wear the polo shirt with a chino and sneaker. You can achieve the office look by combining the polo shirt with suit trousers, jacket and leather shoes. Giorgio Armani said Jeans represents Democracy in Fashion! The Italian fashion designer is of the opinion that jeans is a must-have in the fashion sector. In our opinion, everyone would agree, because each of us loves the comfort of jeans. Also this year the jeans are very trendy. But this time the jeans that have been “destroyed” and washed-out for years are out, now the opposite is the case: untreated, deep blue jeans. Our tip: You can wear dark jeans just like light jeans. We are sure that the all-over-jeans- look with raw denim will look very fashionable. Some trends always come back. This definitely includes the garments with checked patterns. That’s why you should never muck out chequered clothes. Whether sporty or elegant, checkered clothes belong in every wardrobe. Our tip: You can wear check patterns as a single piece, as well as a complete outfit. A white shirt with a V-neck, over it a check shirt fits perfectly on warmer days. So you look absolutely stylish! The Smart Casual dress code demands the right balance between casualness and elegance. The jacket or blazer is worn with a shirt or a long sleeve shirt. Especially in summer this style will be an advantage for the businessmen. Our tip: Avoid bright and gaudy colors, as well as the conspicuous socks with this Outfit. Play it safe to wear brown, blue, and grey tones. These are the 2019 trends for spring/summer. These tips will help you make a stylish appearance at your next Sugar date. 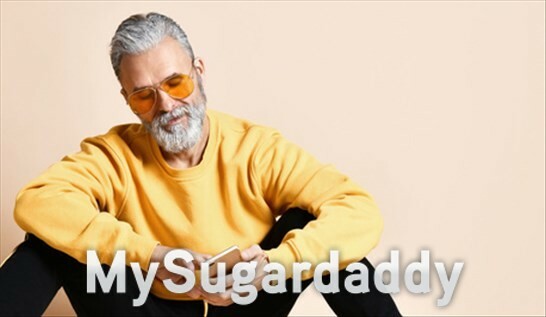 The one thing you must never forget, a Sugar daddy should always wear men’s fashion made of high-quality fabrics!